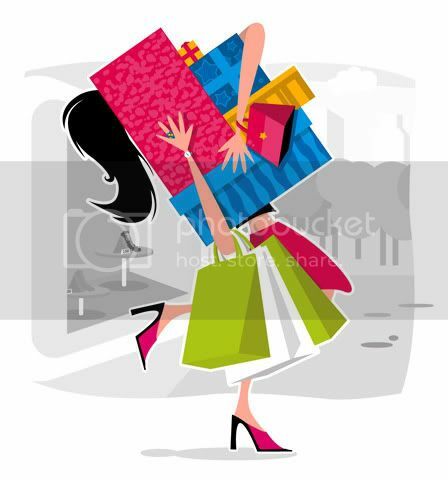 The Girly Blog | insideWYNTER: Crazy Shopper! Yesterday, (Sunday) One of my friend's and I decided to go to PINK because of the sale. OMG! it was hectic! As you may or may not know, we (I) live in nyc. We planned on going to soho to the pink store (located on broadway and prince st) But we ended up going to the Victoria Secret on 34th street. In there was crazy. JAM packed in the PINK section. Ugh and the cute stuff were all gone :(. So Then we said lets definitely go to soho. We went there and I purchased a boyfriend fit sweatpants for my sister (grey) and my friend found a cute matching suit in red. Fitted her and everything...When she went to pay for it and exchange a hoody for the new red hoody she couldn't. Becuase in order to do exchanges and returns u have to have a state id -__-. We're like we are in highschool we only have a school ID. & They was like well i can't help u. (and took the clothes off the counter and through it behind them. HOW RUDE! Finally we decided to go to Queens Center Mall to go to the pink store...She found a cute purple suit....and the kind cashier had let my friend 's school Id situation slid. HOW KIND RIGHT? & I found a very cuteee purple leopard print tote bag for $19.99 and I had a $10 off coupon :D. So I payed TEN BUCKS for this bag tote. And you know the PINK totes aren't flimsy. We then went to H&M, Forever, and picked up a few items for my friend...I didn't see anything sadly..
and I completely forgot to bring my school ID. SMH! I bought a cute infinity style scarf they with some matching gloves tho. I left my house around 1pm and didn't come home till almost 11.. I was soo tired..